How sweet it is … to be featured on the cover of a national magazine. 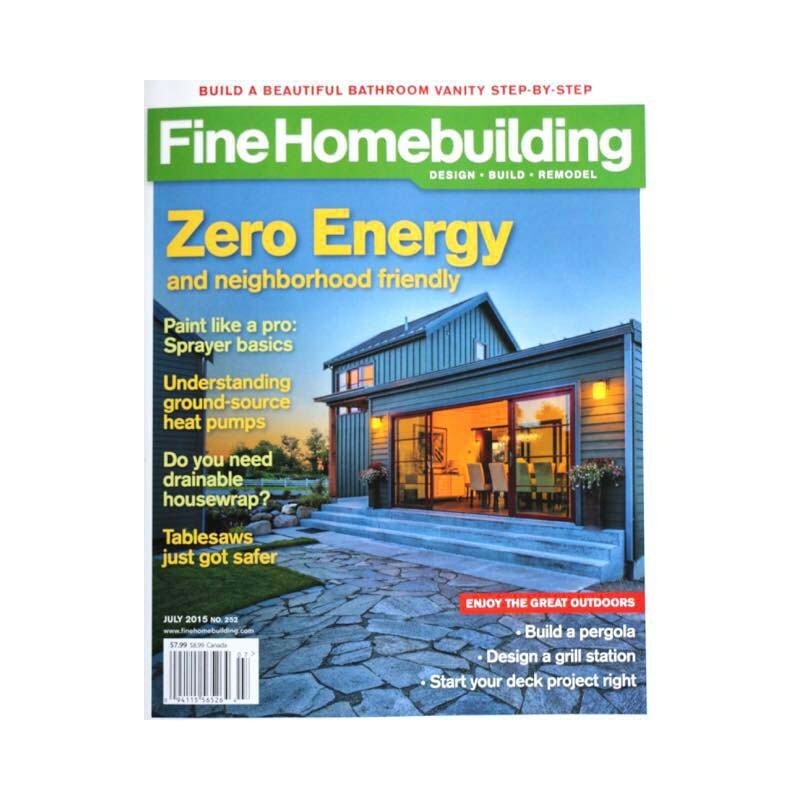 Fine Homebuilding is currently featuring a six-page spread on our net zero home in Coupeville, WA. The article illustrates a number of design principles that we bring into our work: Ecological design, aging-in-place, adaptability, and energy efficiency – to name just a few. If you are not a subscriber to the magazine, however, you’re in luck: the editorial staff have graciously allowed us to re-post the article here for you to read. Please note, this is for your reading pleasure only and does not allow for copying, distributing or re-posting the article without the express permission of the publisher. The original article is titled “Built on the Past, Designed for the Future” and appears in Fine Homebuilding magazines’ issue #252, July 2015. Reprinted with permission © 2015, The Taunton Press, Inc.